Swedish weaving is a type of surface work embroidery in which the decorative thread, rather than going through the fabric, runs under some of the fabric’s surface threads. 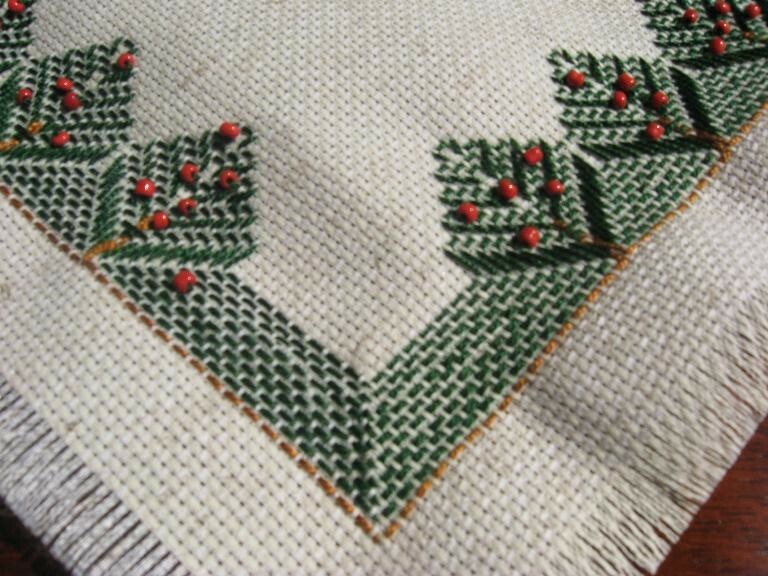 It is very similar to couching, in which small stitched loops hold decorative thread to the fabric’s surface. The reason for the name is uncertain, as there is no apparent historical link to Sweden. Swedish weave is sometimes called huck weaving after the fabric, huck toweling, on which it was first widely used. Swedish Weaving is held on Tuesdays from 10 AM to 1 PM in the Arts and Crafts Room. 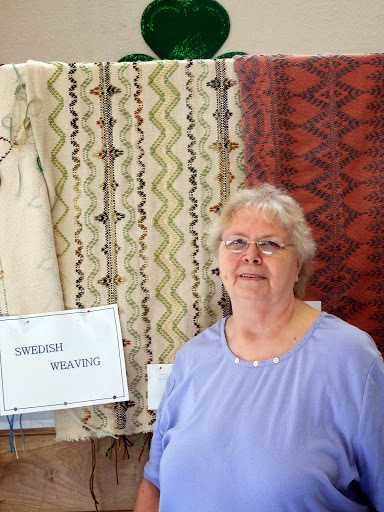 The Coordinator for Swedish Weaving is Sherrye Elkins. Anyone interested in Swedish Weaving is invited to visit during a class. If you decide that you would like to try your hand at this craft, Sherrye has a sample piece that you can work on. All the Swedish Weavers help teach so we can accommodate new members! We will then explain what material needs to be purchased and how to prepare your fabric. You will need to purchase a weaving needle (there are several different styles) and some monk cloth and yarn. Patterns are shared or you can bring your own. There is no charge for the class itself. The Arts and Crafts Room is also open to any sewing, quilting or needle craft activity on Wednesdays from 5:30 PM to 10 PM. The room is open to all crafters on Tuesdays from 5 to 10 PM, Saturdays from 3 PM to 10 PM and on Sundays from 5 PM to 10 PM.